The centerpiece of the system. Intended to be installed in the studio – the software functions are controlled directly on the Windows 10 driven rack computer. 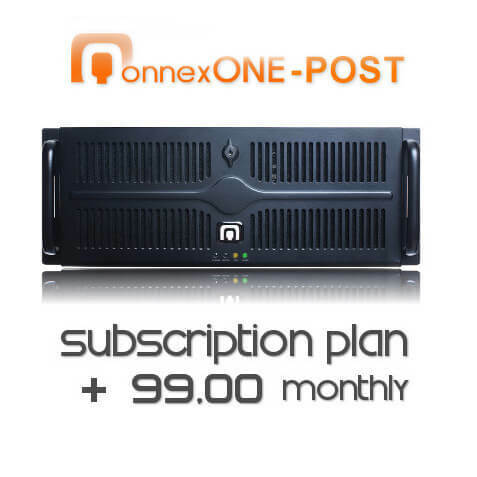 Qonnect the Internet to your Ethernet audio network. Pre-installed Ravenna and Dante Audio Drivers. Enables uncompressed bi-directional NET IN and NET OUT audio lines. Recurring payment of EUR 99,00 net/month for the use of the software. You can pause the subscription to the end of each month. Payments via direct debit. 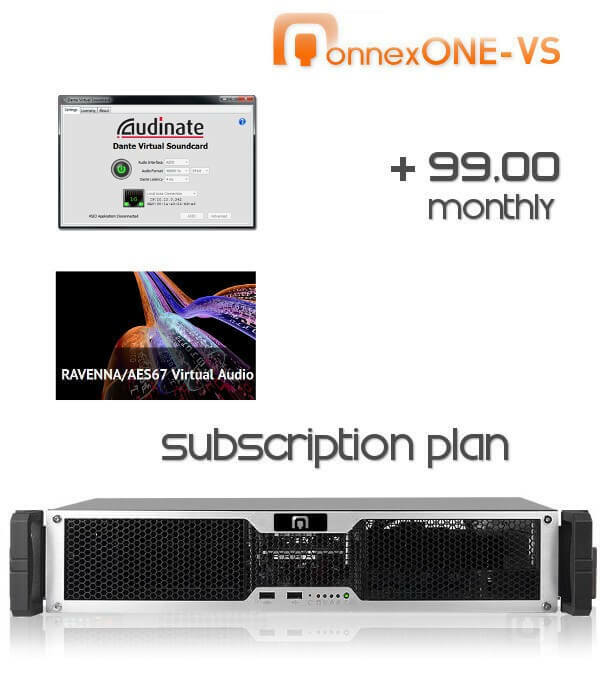 Qonnect input and output channels to the Internet with pre-installed Ravenna ASIO Driver for Windows to the LAN audio network you already have installed in your facility. Qonnect input and output channels to the Internet with the pre-installed Dante Virtual Direct I/O ASIO driver to the LAN audio network you already have installed in your facility.